One of the most deeply entrenched medical/scientific beliefs, is that which suggests that your DNA is like a blueprint with your destiny written into it. As far as metabolic health goes however, there is a lot of good science showing that stress plays a more important role than many think. When it comes to deciding what causes diseases like cancer, heart disease or diabetes, the experts seem to be caught somewhere between, ‘it’s your genes’, and ‘it’s something you did or ate, or didn’t do or didn’t eat’. And in case you aren’t confused enough, the gene mutations that they say drive disease, apparently occur, largely because of random copying errors. Just to add insult to injury, they can’t really say which genes are supposed to cause what. Personally, I think blaming genes is very convenient. It allows doctors to be able to avoid taking responsibility for not being able to help patients figure out what to do, and in many cases, it gives them an excuse for bad treatment outcomes. It also gives government bodies and big industries, justification for the continued profit from ineffective and sometimes dangerous products. What the medical world rarely seems to acknowledge however, is the large body of scientific evidence, showing the things that interfere with proper metabolic function, that are known to promote cellular dysfunction and disease, and that consistently cause damage to, mutate, or vary the expression of genes. It’s one thing to say that genetics plays a role in the development and progression of disease states, but it’s an altogether different thing to ignore the factors that determine the influence genes might have, and that can promote or protect against illness, regardless of what is written in the blueprint. All of these things fall under the umbrella of metabolism and stress. I’m not saying that genetics is irrelevant, but I think a better way to look at disease, is to see the ways that things that promote biological stress and interfere with metabolic function – things like chronic inflammation, sugar restriction, rising exposure to stress substances like estrogen, nitric oxide, endotoxin, and polyunsaturated fats (PUFAs) – have been shown to increase illness, and have a damaging impact upon genes. The fact that genes are involved does not necessarily mean, that it’s the genes that are driving disease. For one thing, evidence has shown that the effects of stress can impact upon the health of future generations without a genetic change, people recover from illnesses in spite of genetic change, and many do not get sick, even in the face of genetic change. But when you look at the things that interfere with metabolism and promote stress, you’ll find that there are good explanations for susceptibility to disease (irrespective of what the genes say), and things can really start to make practical sense. Take inflammation for example. Chronic inflammation is well known to exist as a result of ongoing exposure to stress, and to cause further interference with metabolic function, which can then be something which promotes more inflammation, as well as disease. Inflammation is something which has been shown to be genotoxic and mutagenic. Low level maternal inflammation during pregnancy has an impact upon physiological function (including genes), and when this increases serotonin production, it has the potential to impair fetal brain development. You could say this is a genetic issue, but it probably makes more sense to say that it is an inflammatory stress related metabolic issue. One argument is that it is genetics in the first place, that determines the inflammatory response a person will have when exposed to stress. But there are many things that promote inflammation (and at the same time have an impact upon genes), that can be easily avoided. It’s just as easy to argue that it is these things that are of most significance, and in fact, more and more experimental evidence is backing this hypothesis up. When stress and chronic inflammation interferes with metabolism, one of the things that is known to happen is that digestive function is impeded, and bacteria are more able to grow in number and move further up the intestines, promoting greater interference. Bacteria and the toxic byproducts of bacteria, are known to directly interfere with metabolism, and cause inflammation and disease. They’ve also been shown to have an impact upon the genes. Stress and metabolic suppression promote disease, and changing bacterial numbers and composition are known to play a significant part. Dietary, and other environmental changes (more so than genetics) directly impact upon bacterial conditions. Inflammation, stress and increased exposure to bacteria (and the toxic byproducts of bacteria), interferes with thyroid energy metabolism, promoting the release of defensive stress substances such as nitric oxide and estrogen. Systemic and chronically raised levels of these stress related substances, further suppress energy metabolism and encourage inflammatory, disease promoting conditions. They have also been demonstrated to be responsible for genetic and epigenetic changes which have been said to promote increased disease susceptibility. Rising levels of estrogen due to stress, have been shown in numerous different ways to promote mood dysregulation. Excess estrogen can also impact upon the expression of genes, in a manner which is said to increase the likelihood of suffering from stress-induced psychiatric disorders, such as depression and PTSD. Ongoing exposure to high amounts of stress, without sufficient energy availability, promotes the release of fat out of storage as an alternative fuel source. Increased use of fat for fuel further suppresses metabolic function, and particularly when the fat composition is made up more of PUFAs, promotes systemic and chronic inflammation and stress. The breakdown products of PUFAs, such as malondialdehyde and 4-HNE, have been shown to be a significant cause of oxidative stress and inflammatory disease, as well as damage to DNA. PUFAs promote inflammation, and directly interfere with digestive function, encouraging bacterial overgrowth. More PUFAs, slower digestion, and increased bacterial issues, promote nitric oxide, estrogen, serotonin production, and other stress related things. All of the above can interfere with liver function, allowing for inflammatory substances to circulate throughout the main system in greater amounts. Systemic inflammation causes more stress, and further interferes with metabolism, increasing levels of all of the above stressful things, including levels of PUFAs in circulation. This can become a vicious circle of inflammation and disease promotion, and each element of the above story can effect the genes. Excessive exposure to the breakdown products of PUFAs, interfere with the ability of the cell to use sugar for energy, increasing stress and inflammation, potentially promoting chronic hyperglycemia and diabetes. Hyperglycemia has been shown to cause gene mutations. Sugar restriction directly interferes with energy metabolism, increasing exposure to the substances of stress and promoting the release of PUFAs into circulation. In this sense (and in other ways) it can be argued that insufficient intake or availability of sugar is anti-metabolic, can encourage inflammation and disease, and can (at least indirectly) impact upon genes. Sugar promotes cholesterol production, and by increasing metabolic function, sugar also improves cholesterol conversion into the anti-aging anti-inflammatory hormones (pregnenolone and progesterone etc.). Slow metabolism, as well as interaction between cholesterol and PUFAs, has been shown to damage or promote oxidation of cholesterol. Oxidized cholesterol is involved in the progression of disease, including heart disease and alzheimer’s, and is another factor which has been shown to damage genes. The truth is there is plenty of high quality science demonstrating the ways that stress impacts upon metabolic energy system function, and upon genes and their expression. It is not a stretch to argue that it is metabolic interference as a whole that is powerfully deterministic when it comes to disease potential. “Aberrant DNA methylation has been implicated in the etiology of various mental disorders including, depression, psychotic disorders, post-traumatic stress disorder, autism, eating disorders and substance dependence, but also has an important role in the pathology of physical illnesses, such as cancer…We found that psychosocial experiences are linked to immediate epigenetic modifications in a sample of subjects with early adverse experiences. I don’t think the big question is, ‘What role do genes play in the development of disease?’ Rather, I think it makes more sense to understand, how much disease susceptibility is influenced by exposure to stress and it’s impact upon metabolism. Is it really that useful focusing on genetic correlation? The popular claim goes a bit like this. You inherit a genetic blueprint which determines the diseases you are likely going to get. Random mutations gradually change the blueprint, and the environment can switch genes on and off, but it is the genes that are ultimately in charge. Once it is determined which genes cause what, you will need only go get a reading, then choose a specific course of action, or resign yourself to a predetermined outcome. So far this has not proven accurate, and completely disregards a whole field of science relating to stress, metabolism and disease. Not only are there specific dietary and lifestyle factors that impact upon genes and significantly increase disease risk, there are also things that can damage or improve health without altering DNA. 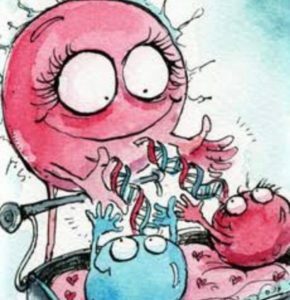 Is it genes that are responsible? 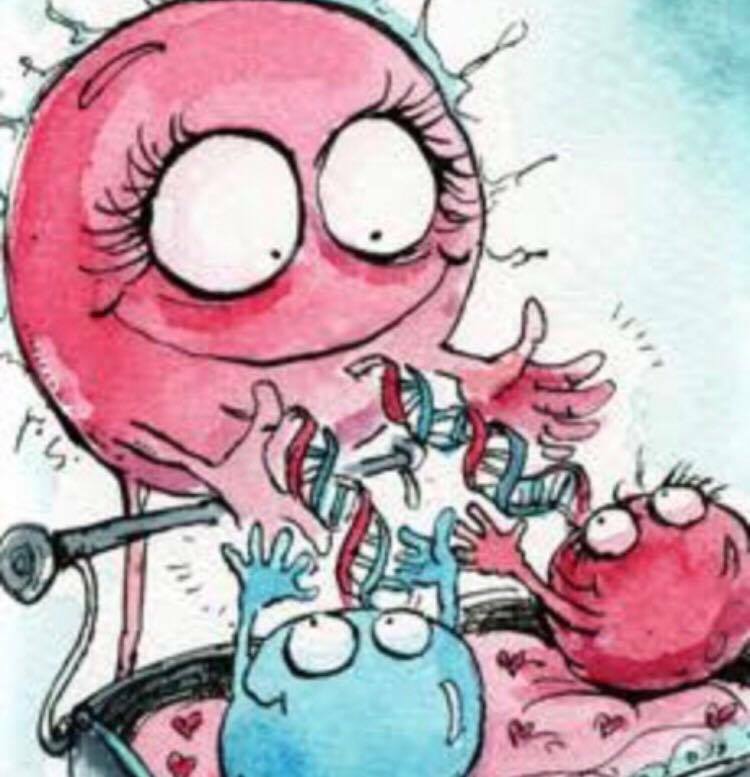 Exposure to stress has been shown to be able to promote epigenetic changes which can last for many generations, and increased susceptibility to disease (from exposure to metabolic stress), can be inherited via non-genetic means. Just imagine what a lifetime of exposure to PUFAs and other stressful things (which can create a cocktail of rising levels of inflammation promoting substances like endotoxin, estrogen, nitric oxide, cortisol, serotonin etc.) can do to the function of metabolism and the risk of disease. And then when it finally happens, they’ll tell you it’s genetic. What they often mean when they say that, is that you were destined to get sick, and that it had nothing to do with anything they told you to do, or not to do. I’m not a biologist, or a doctor, and I’m not anti-science, but I’m yet to see the value in labeling any health issue genetic, at least not for the patient. Even if there were such a thing as a purely genetic disease, this information makes not one iota of difference, especially when it comes to metabolic approaches to treatment. A diet avoiding PUFAs and other inflammatory things, with enough protein from milk, cheese and gelatin, and plenty of sugar from sweet fruits, fruit juice, white sugar and honey, is one way to promote metabolic function and protect against any potentially disease promoting effects of your particular genome. Some other things which can impact upon genes include radiation, carbon monoxide, iron and some other heavy metals, BPA and other estrogenic substances, as well as breakdown products of fish oil such as acrolein, 4-oxo-2-nonenal (4-ONE), 4-hydroxy-hexenal (4-HHE), and crotonaldehyde. The diseases of stress and aging (cancer, heart disease, stroke, diabetes etc.) are being seen at a rapidly rising rate in younger age groups, for reasons that appear to have more to do with environmental changes, than random genetic mutation. I’m not saying DNA doesn’t have a part to play (nor am I suggesting susceptibility to illness is not inheritable), but it’s probably better to focus on the things you can do to protect against metabolic damage or to improve your health, rather than be too distracted by having your tea leaves read. By all means, do some research into genetics, but just imagine where we’d be if only a small percentage of the money that has been put into the genetics industry, went into looking at the metabolic causes of disease. It’s a little like putting a flame on skin and watching it burn, then saying the type of skin you have, caused the burn. At this stage there is nothing you can do with your genes to help you, but there is plenty you can do if you understand metabolism, and what damages it. Even if it’s all true, and genes, and gene mutations directly cause disease, the stress promoting things, like the breakdown products of the PUFAs, and many other inflammatory, anti-metabolic things, can change gene expression, and are genotoxic and mutagenic. And they are promoted and sold as health improvement products. Let that sink in. Oxidative stress and lipid peroxidation-derived DNA-lesions in inflammation driven carcinogenesis. Chronic inflammation as a promotor of mutagenesis in essential thrombocythemia, polycythemia vera and myelofibrosis. A human inflammation model for cancer development? Intrinsic mutagenic properties of 5-chlorocytosine: A mechanistic connection between chronic inflammation and cancer. When bacteria become mutagenic and carcinogenic: lessons from H. pylori. How does inflammation drive mutagenesis in colorectal cancer? Potential genotoxicity of chronically elevated nitric oxide: a review. Genotoxicity of lipid oxidation compounds. Genotoxicity and mutagenicity of the alpha, beta-unsaturated carbonyl compound crotonaldehyde (butenal) on a plasmid shuttle vector. DNA deaminating ability and genotoxicity of nitric oxide and its progenitors. Mitochondrial DNA oxidative damage and mutagenesis in Saccharomyces cerevisiae. An Expanded View of Complex Traits: From Polygenic to Omnigenic. Assessing the genotoxic effects of two lipid peroxidation products (4-oxo-2-nonenal and 4-hydroxy-hexenal) in haemocytes and midgut cells of Drosophila melanogaster larvae. Maternal serotonin transporter genotype affects risk for ASD with exposure to prenatal stress. A non-genetic basis for cancer progression and metastasis: self-organizing attractors in cell regulatory networks. Cytotoxic versus genotoxic effects of nitric oxide (NO). The cytotoxic and mutagenic properties of cholesterol oxidation products. Acrolein-induced oxidative stress and genotoxicity in rats: protective effects of whey protein and conjugated linoleic acid. Cholesterol oxidation: health hazard and the role of antioxidants in prevention. Genotoxic effect of iron overload and disease complications in transfused β thalassaemic patients. Long-term exposures to ethion and endotoxin cause lung inflammation and induce genotoxicity in mice. Intracellular and extracellular factors influencing the genotoxicity of nitric oxide and reactive oxygen species. A review of recent studies on malondialdehyde as toxic molecule and biological marker of oxidative stress. Lipopolysaccharide-induced DNA damage is greatly reduced in rats treated with the pineal hormone melatonin. Previous story Sugar Makes Everything Sweeter.